Hey all! 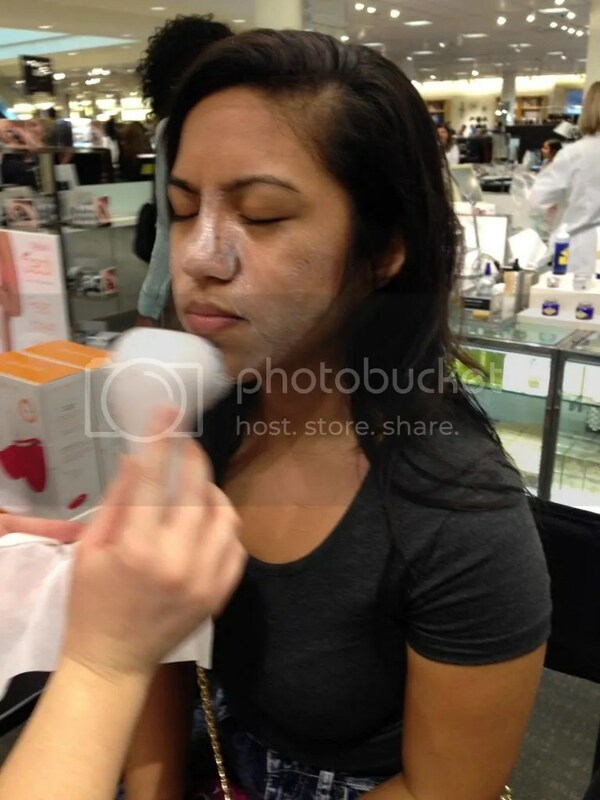 Welcome to my rundown of the “Winterize Your Skin” event I went to at the Nordstrom in Cerritos Mall in Orange County. Miss Hazzle Joy joined me for this one so we both were able to enjoy this educational experience. My friend Holly Daniels who works at the Yves Saint Laurent counter at this Nordstrom invited me to this event because I’d recently gone to the Fall Trend Show featuring the latest makeup of the season. However, now that winter is here, they want to show everyone how to take proper care of their skin during the winter when it’s coldest, driest and most sun damaging. We tend to forget about the sun and some of the other elements and our skin gets reddened, or dried out, which is NOT GOOD. So my friend Holly told me I could come to her for some tips on how to keep my skin moisturized and protected from all this and more. First item on the list to was the Clarisonic girl was going to cleanse my weather beaten face of all the dead skin. She asked me what type of skin I had and I told her it’s pretty much combo because I have some drier areas and some sort of greasy spots that need extra cleansing and also that I have very sensitive skin. 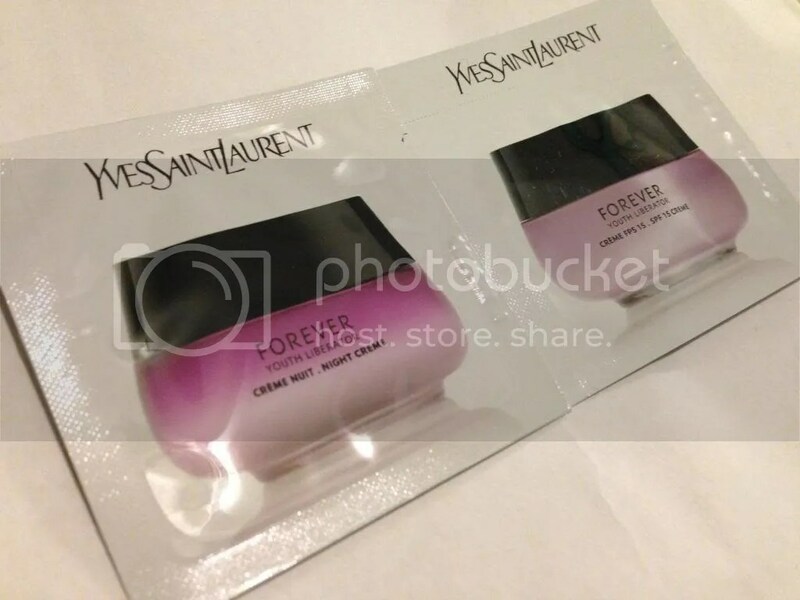 She knew immediately what to do, so she snapped on the sensitive skin brush to her Clarisonic machine and reached for the Yves Saint Laurent ‘Forever Youth Liberator’ Cleansing Foam and went to it! By the time she was done, I could feel my face tingling all over and when I touched it it just felt so baby smooth. I have never felt my face this way before, so cleansed and freshened. 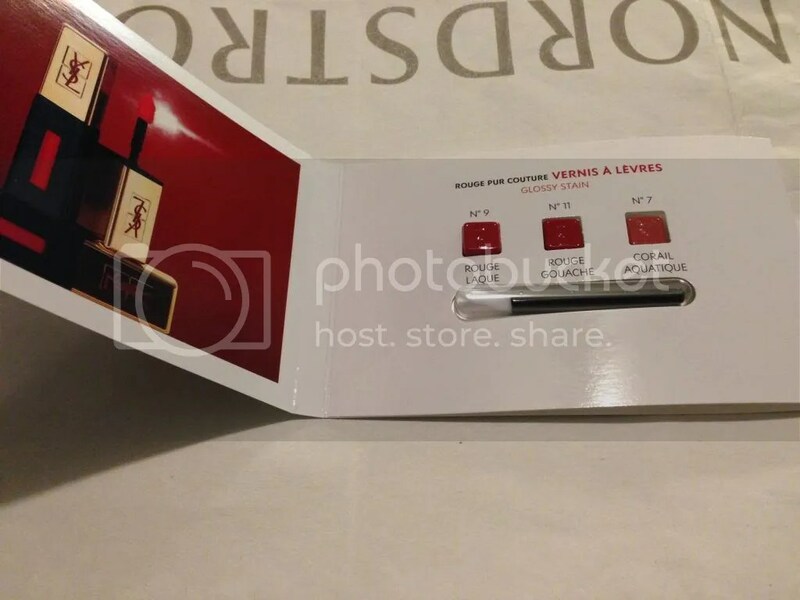 Pricing was what turned me away from purchasing the product that day, but the price for a starter kit begin at about $125 at Nordstrom. This is an investment I might just have to make one day soon. 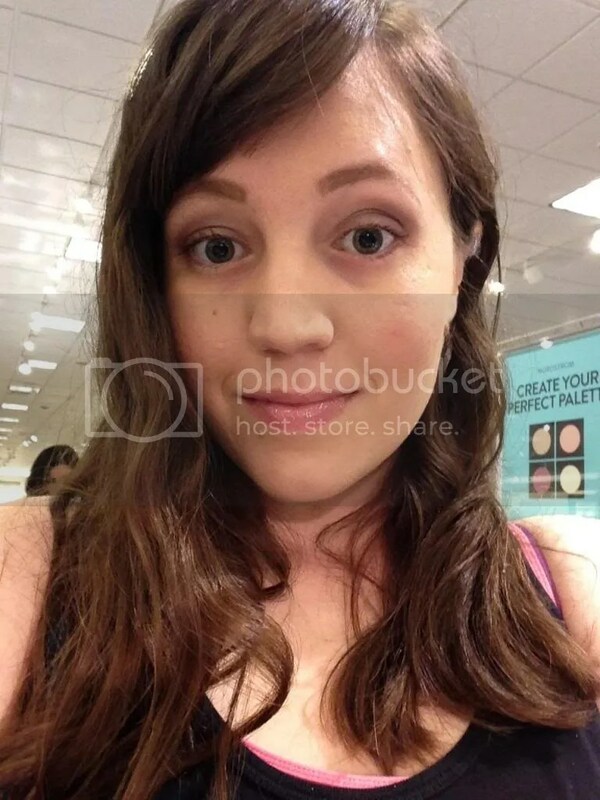 Once the Clarisonic lady moved over from myself to Hazzle to give her the experience, my friend Holly began with the treatment I really came to Nordstrom for. 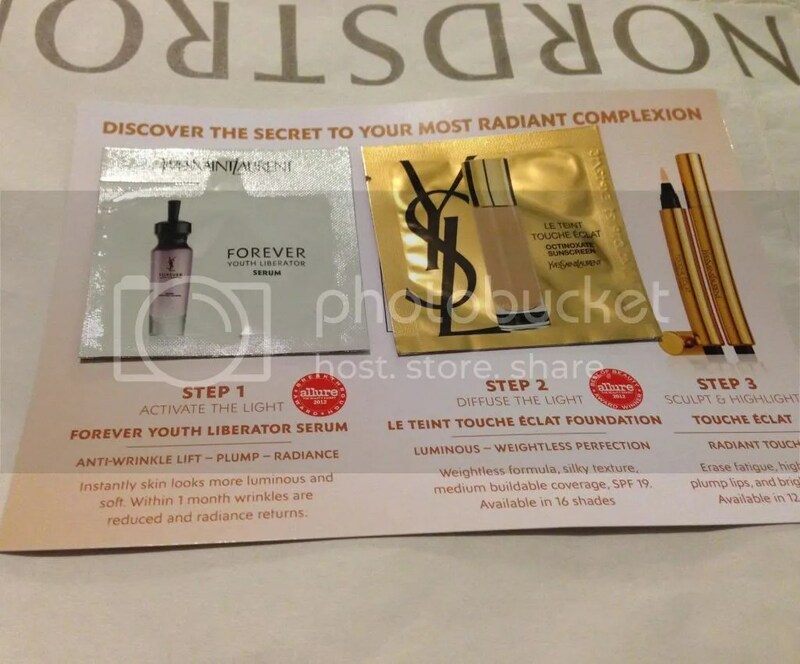 She started out with my eyes by using the Yves Saint Laurent Forever Youth Liberator Eye Zone Serum, which I know I’m a bit young to use on my eyes, but it has another use to help moisturize that area which I desperately need. She then moved on to putting a toner on my face from the same line of products and I believe the Day Cream with SPF 15 as well. 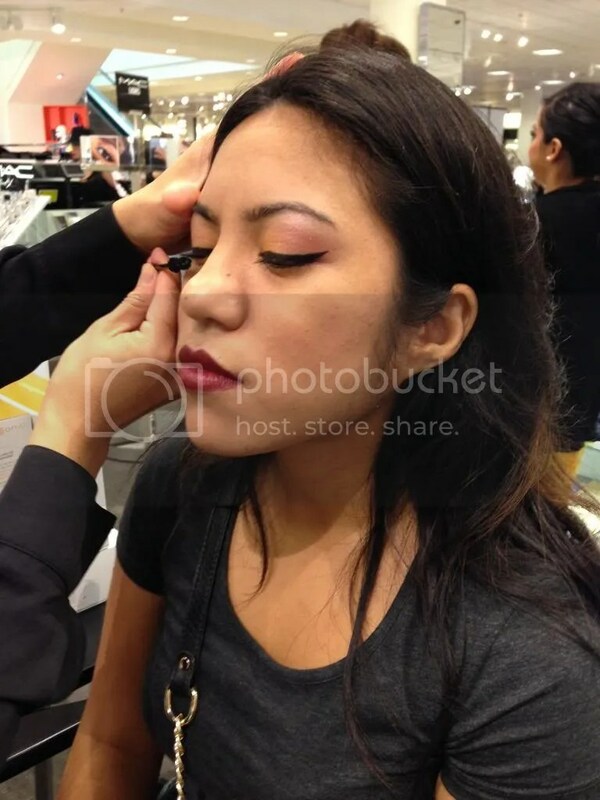 From that point, once my face was fully prepped and ready to go, she started in on applying my makeup. Starting with my eyes she used the YSL ‘Touche Éclat’ Radiant Touch, a take-anywhere pen-brush which I own and love that conceals all the little details I want to cover up. She then put powder Giorgio Armani purple eyeshadow on that was very sparkly and came from a certain palette. When done she applied my mascara (which was not YSL because I tried it recently and had a a slight allergic reaction to and I warned Holly about). Finally applying a liquid foundation on my face which was YSL, and using a Dior face powder to put on the finishing touch. The last thing she had to do was do something about my lips. I personally cannot stand having anything on them, not lipstick, not gloss and not even chap stick. The stickiness of it all just annoys me! When she reached for the Giorgio Armani ‘Flash’ Lip Laquer, I had no idea what I was in for. EUREKA! She’d found what I think is my new favorite item in my small, but still growing makeup bag. This adorable pink colored sparkling gloss is one of the best things about me wearing makeup. I believe I’ve found my answer to not wearing anything on my lips and it’s this cute pink gloss! 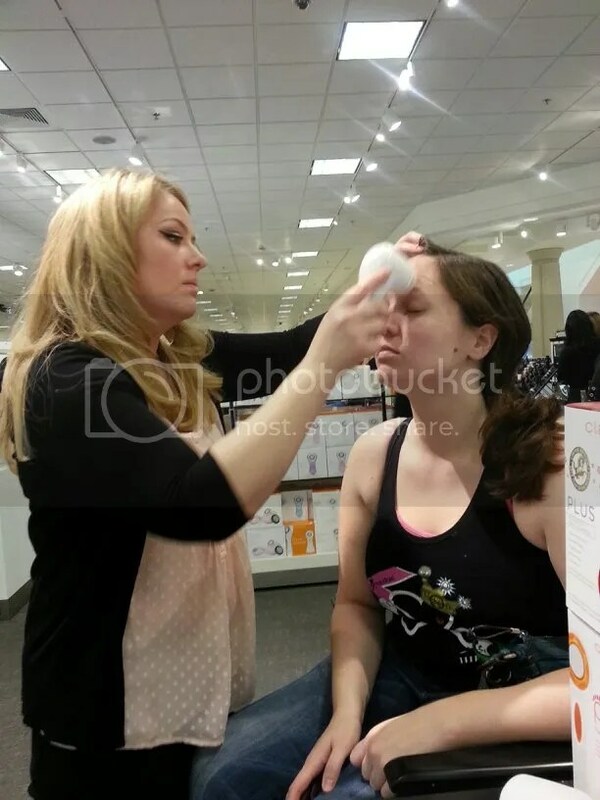 Without a doubt I learned quite a lot at the Winterize Your Skin event at Nordstrom. I was able to experience using the Clarisonic tool for cleansing, and learned about protecting my face from the seasons; which is very helpful when you have skin as sensitive as mine where the slightest change in humidity, or the cold weather making me forget about the sun affecting my skin. I’m more aware of how Winter affects my skin and I now feel better prepared to take winter on! 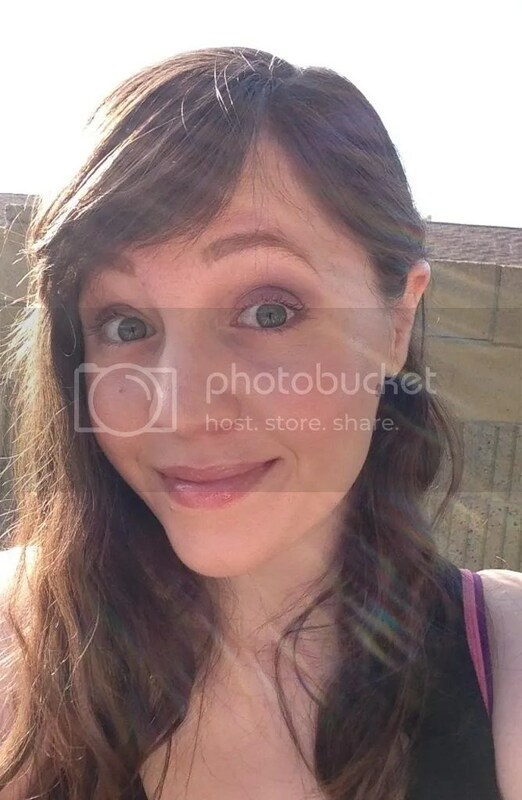 Well, at least my face does. Go visit Holly or anyone at the YSL counter for further information on protecting your skin this Winter.